In the tradition of bestsellers such as Dead Wake and In the Heart of the Sea, Adrift tells of thirteen victims and a tragedy at sea where every desperate act could mean life or death. The small ship making the Liverpool-New York trip in the early months of 1856 carried mail, crates of dry goods, and more than one hundred passengers, mostly Irish emigrants. Suddenly an iceberg tore the ship asunder and five lifeboats were lowered. As four lifeboats drifted into the fog and icy water, never to be heard from again, the last boat wrenched away from the sinking ship with a few blankets, some water and biscuits, and thirteen souls. Only one would survive. This is his story. As they started their nine days adrift more than four hundred miles off Newfoundland, the castaways-an Irish couple and their two boys, an English woman and her daughter, newlyweds from Ireland, and several crewmen, including Thomas W. Nye from Bedford, Massachusetts-began fighting over food and water. One by one, though, day by day, they died. Some from exposure, others from madness and panic. In the end, only Nye and his journal survived. 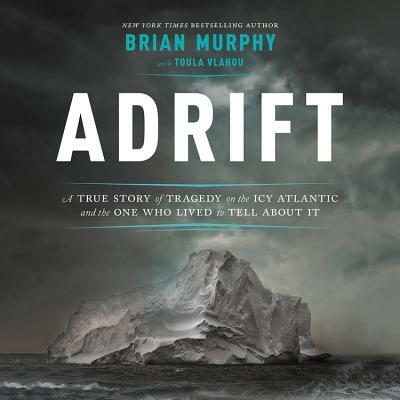 Using Nye's journal and his later newspaper accounts, ship's logs, assorted diaries, and family archives, Brian Murphy chronicles the horrific nine days that thirteen people suffered adrift on the cold gray Atlantic. In the tradition of bestsellers such as Into Thin Air and In the Heart of the Sea, Adrift brings readers to the edge of human limits, where every frantic decision and every desperate act is a potential life saver or life taker.